This Trick Tutor is a complete downloadable beginner’s training program that can teach any beginner how to skate like a pro! 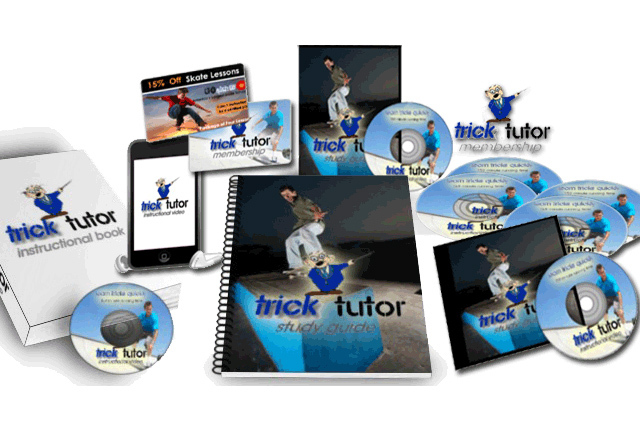 The Trick Tutor package includes high-quality HD videos with clear and descriptive instruction, a follow-along ebook, and a $29.95 coupon for skateboard lessons. This particular course was featured on ESPN and Yahoo Sports as one of the best-selling training modules for beginners! A best-selling course on the basics for beginners. Increase your confidence, stay safe, and learn a few tricks. As featured on ESPN and Yahoo Sports!, Trick Tutor is the ultimate help guide for new skaters. It helps students achieve the best balance, increase confidence, and elevate their current skateboard level. Every skateboarder must first understand the foundation of skateboarding-the transportation techniques. 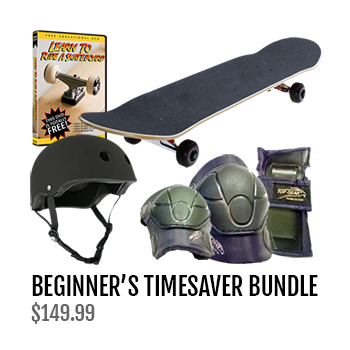 This makes skateboarding easier, learning quicker, and helps it be safer. Trick Tutor covers everything you must know about the transportation basics so that you have no fear. Understanding the parts of a skateboard is equally important to knowing how to ride. In this video series, we will teach you how each part of the skateboard effects your skating. 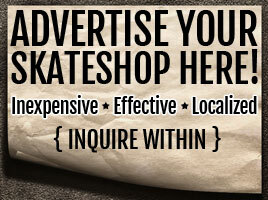 We will help you pick the best skateboard parts for your ability. 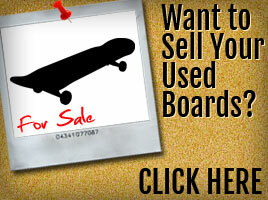 Trick Tutor is brought to you by GoSkate.com, the largest skateboard school, which has over 1,300 instructors. Go Skate has taught over 8,000 new skateboarders how to skate. The ultimate “how-to” ebook guide is the perfect compliment to your lessons. The ebook serves as a guide to refer to after the lessons and continue learning! This is one of the only skate lesson books ever developed. This guide will save you a ton of trouble, time and money! With the foundation set, we will amplify your skating with ramp moves, street tricks, and popular moves like the Ollie. Regardless of what you want to learn, we promise that this course will be the quickest way to achieve your skateboarding goals. I’ve been wanting to learn to skateboarding for a very long time but was very nervous about falling over and I didn’t want to learn through trial and error. This course is exactly what I was looking for but didn’t think existed. There is tons of useful information here in each and every lecture and I felt guided at each step. Having the lectures on my iphone really helped to consult when I was out skating. I recommend this course for anyone who has always wanted to skateboard but been too scared to try. It takes you right from the beginning and puts all the basics in place. Its practically impossible to make mistakes and all the teaching is clear and very easy to follow. I highly recommend this course for anyone who already know skateboarding but wants to improve their technique and start using this for relaxation and sheer pleasure. I love it! I couldn’t stop wobbling and falling over on my skateboard and I had almost given up with frustration when I discovered this wonderful set of lectures. I never realised that my whole position was wrong, but now that my weight balanced over board and I can skate OK. Can’t believe it! It really works. Come on and buy it You will be as good as me soon! !